Love burgers and also love seafood? 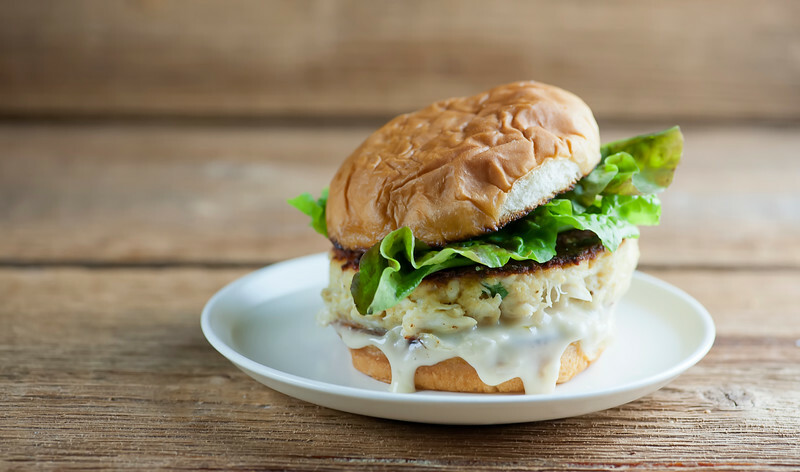 Then this easy crab cake burger recipe is perfect for you. Grab your Old Bay seasoning and fire up the griddle! My battle of the burgers has been going on for a week now…first there was the tavern burger, and then there was the diner burger. And I know how we all do love a good hamburger, no matter what your preference is on how it’s prepared. But every once in a while it’s good to shake things up a bit burger-wise, and for that reason (along with the seafood deliciousness) I now present….the crab cake burger! Which is exactly what you hope and dream it is – a tender on the inside, crispy on the outside, slathered in tartar sauce crab cake, nestled onto a soft roll and ready for you to take that first scrumptious bite. Ready to rock your burger world? Let’s make it!Crab cakes need a couple of essential ingredients (besides crab!) to be at their crabby best. They need something to hold the crab cake together while it cooks, and I like a combo of egg and tangy sour cream for that. They also need a spicy, tangy, hint of summertime and the ocean flavor, and I use a little lemon juice, a little mustard and a couple spoonfuls of Old Bay seasoning. You can find Old Bay in the spices section of your supermarket, and it is miraculous mixture of spices that is ESSENTIAL for fabulous crab cakes. Trust me on this. Last but not least, you need something to give your crab cakes a little substance, and the classic ingredient for that is breadcrumbs…but not in MY kitchen. Nope. In my kitchen, we use crushed potato chips. You want the classic thin Lays potato chips – pour some into a ziplock bag and roll a rolling pin over the bag until they are potato chip crumbs. Yup. THAT’S what I’m talking about. The other things you need on hand are some lettuce leaves (I like butter lettuce for this but you be you), some tartar sauce and some rolls. You can either pick up tartar sauce at the supermarket (look by the seafood section) or you can do what my friend Robyn does and make your own – click here for her easy scrumptious recipe. As for the rolls, any nice soft burger roll will do, but if you can find them, the Holy Grail of rolls are King’s Hawaiian rolls. Soft, a teeny bit sweet, and completely addictive. They also come in dinner roll form, and we have to pace ourselves when they are in the house so we don’t eat All The Rolls in one sitting. Once you have all your fixings together, you want to mix everything up and then pack it into nice firm burgers. Unlike hamburgers, which you want to pack loosely, crab cakes should be packed as solidly as you can get them. Even then they are fragile things until they are cooked, so I like to transfer them onto the skillet or griddle with a spatula just to make extra sure they stay together. Cook them for 4 minutes a side until they have a nice crust, and then slather your roll with tartar sauce, pile on the lettuce leaves and pop your crab cake in between. It is now a crab cake BURGER, and everything is right with the world. Do you have a favorite spin on burgers that I need to know about? Let me know in the comments – all links welcome! Put scallions, egg, sour cream, mustard, Old Bay and lemon juice in a mixing bowl with a pinch each of salt and pepper and stir to combine. Add crabmeat and stir. Add crushed chips and stir again. Divide mixture into 4 sections, and pack each section into a round patty. Add oil to an electric griddle or a large skillet and heat over medium high heat. When hot, carefully place crab cakes on the cooking surface – I like to slide them on with a spatula to keep them from breaking. If you like your rolls toasted (we do!) add them to the hot skillet and toast them until they are golden. Slather the roll bottoms with tartar sauce, place the crab cake on top, squeeze on a little more lemon juice, top with lettuce and the top of the roll and serve! 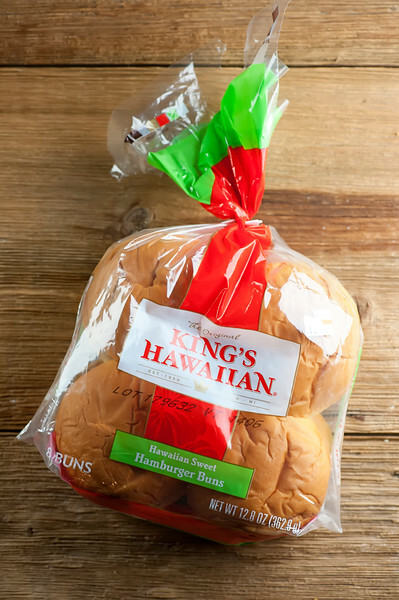 If you can find King’s Hawaiian rolls, they make the BEST burger buns! How have I never seen the King’s Hawaiian dinner roll size?! These crab cake burgers look fabulous Kate. Love the addition of the crushed potato chips and the toasted bun! Mercy, Kate – these Crab Cake Burgers look amazing! I can’t wait to make them! Thanks for the Tartar Sauce mention – it really is tasty! Thanks my friend! Hope your summer is going great! Your tartar sauce recipe is my go-to! xoxo, my friend!